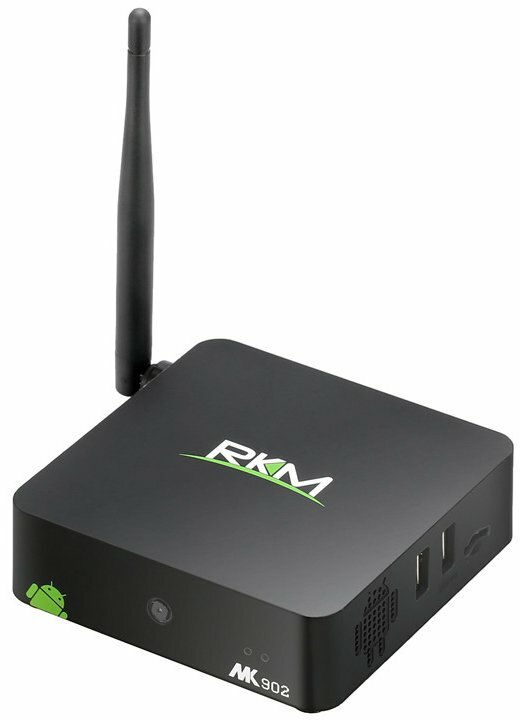 Rikomagic is mostly known for its Android HDMI TV dongles such as the MK802 series, but a new Android media player has recently been listed on its website. MK902 features a quad core Cortex A9 RK3188 processor, 2GB RAM, 8 to 16 GB flash depending on configuration, as well as a 5MP camera for video conferencing. Video Output – HDMI and AV output (composite). The device will come with an HDMI cable, an AV cable (composite + stereo audio), a power adapter, and a user’s manual. MK902 is said to run Android 4.2, and supports Miracast. The 5MP camera is mostly a marketing “trick”, which does not mean the claim is untrue, but even if you can find a video conferencing service doing 1080p (1920×1080) it only requires about 2MP. Greater pixel counts are mostly useful for photography, unless I missed something. There’s currently no information about price nor availability. I checked rockchip website and i didn’t see any info about RK3188-T model , a “lower clock” cpu its ok by me..
as long its fast and also stable. We can confirm MINIX is still using the RK3188 chipset in our Quad-Core devices – the NEO X7 and NEO X7mini. And we have absolutely no intentions to switch to the RK3188-T.
For those unaware, the RK3188-T is a cheaper alternative to the RK3188 – which other manufacturers have been discovered to be using recently. The RK3188-T runs at a slower CPU speed, so thus will have an affect on the performance of the device.